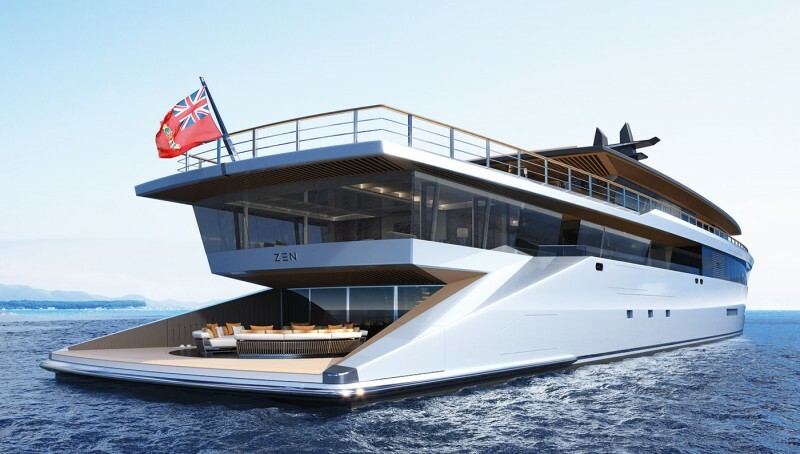 Sinot Exclusive Yacht Design and Feadship Royal Dutch Shipyards have teamed up to build what could be the coolest party barge we’ve come across (that’s how we’d use it, anyway). 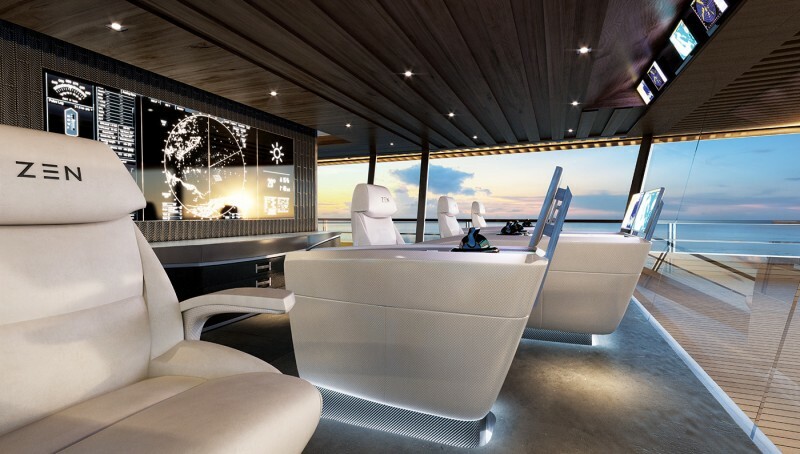 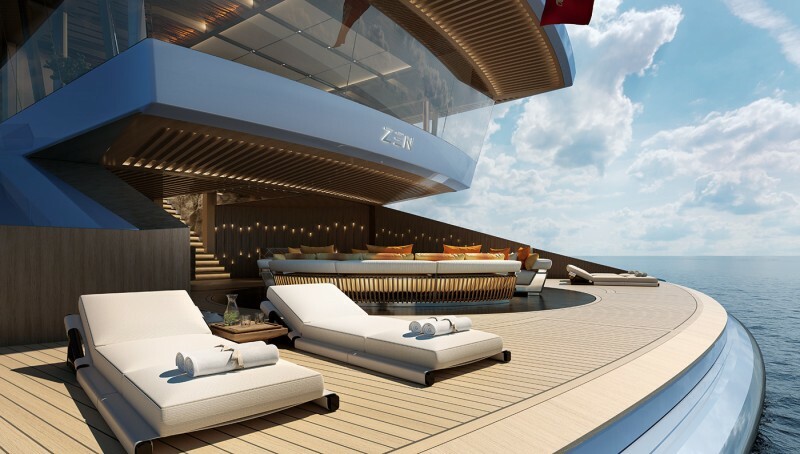 The 262-foot Zen superyacht concept was designed for passenger’s pleasure. 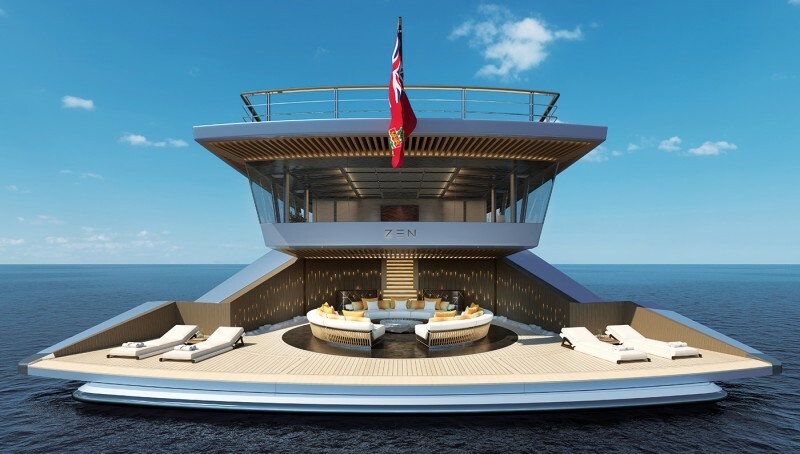 Moving away from the prototypical multi-deck superyachts, the spacious design of the Zen features a simple two-deck approach. 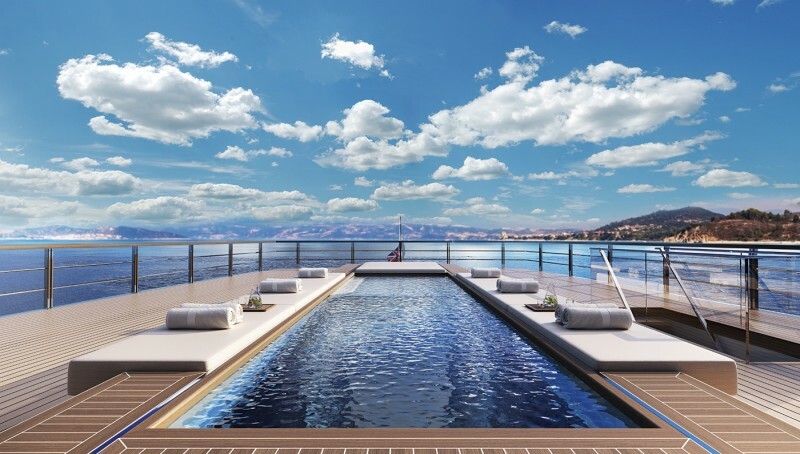 One deck welcomes guests with the sight of comfy lounge chairs, semicircular couches, and settees, while the other harbours the dazzling 26-foot shimmering swimming pool. 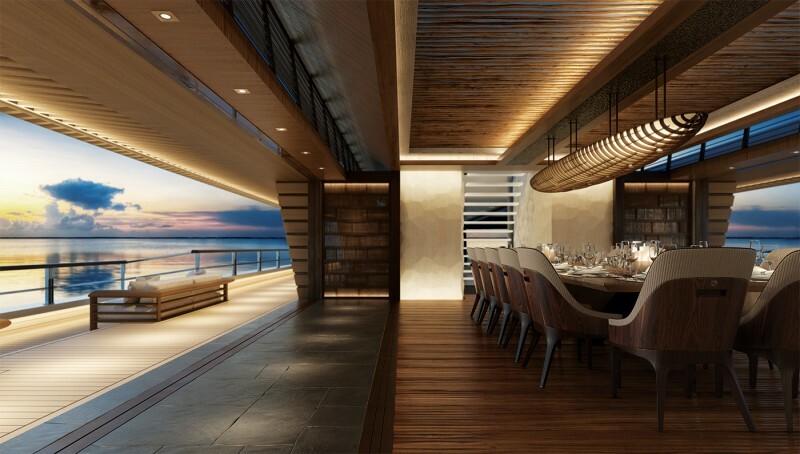 Expandable balconies surround the yacht, giving guests an uninhibited view of the water. 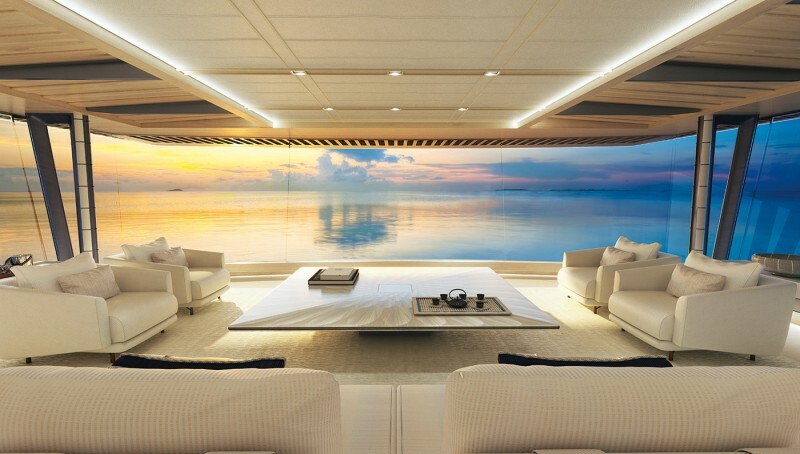 The décor choice is modern, featuring dark woods, silk carpets, and soft chenille fabrics. 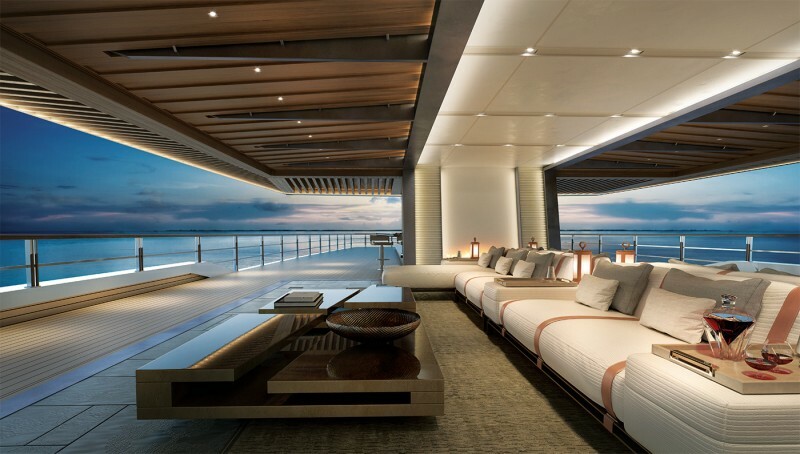 The owner’s suite includes a bedroom, lounge, office, his-and-her bathrooms, and floor-to-ceiling windows. 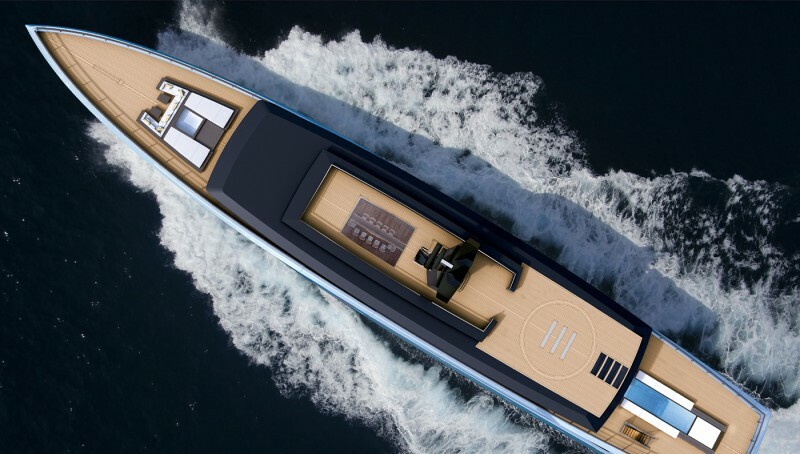 The Zen can accommodate up to 12 guests, and cruises comfortably at speeds of up to 18 knots. 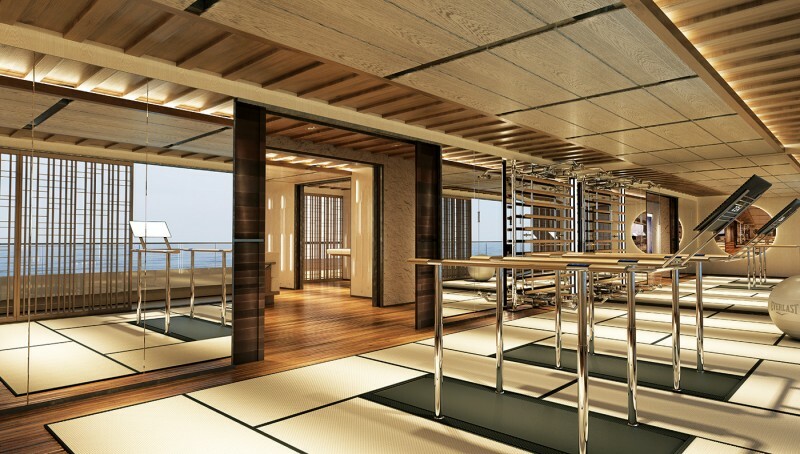 And of course, no superyacht would be complete without the onboard cinema, formal dining room, and fully-equipped gym!